This is a personal blog of my friend, Jeng Sri. She asks simple but colorful appearance for her personal blog. I just combine an eye catching woman graphic and matching color of header background. Also a cute graphic for sidebar and post title background. 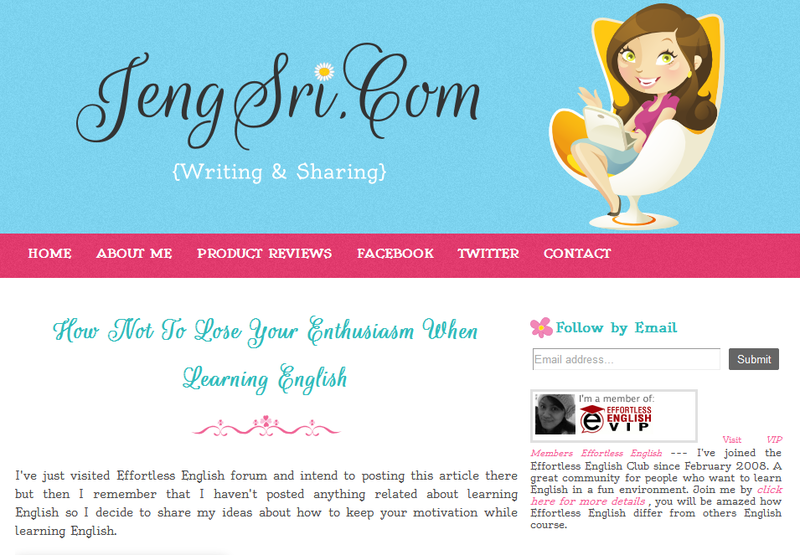 Jeng Sri personal blog template design, a simple 3 columns layout for personal blog.